Ernesto Valverde refuted claims that Barcelona broke RFEF rules by fielding an ineligible player, after watching his side progress to the last eight of the Copa del Rey. Having trailed in the first leg 2-1, the Blaugrana eased through to the next round with a 3-0 ​win, thanks to goals from Ousmane Dembele and Lionel Messi. However, the tie has down shrouded in controversy amid claims that Barcelona B player Juan Brandariz, commonly known as Chumi, should have been suspended for the first tie. An investigation followed, but the Spanish federation (RFEF) reportedly ​cleared the Catalan side of wrongdoing, confirming the youth player's suspension only applied to the club's B team. 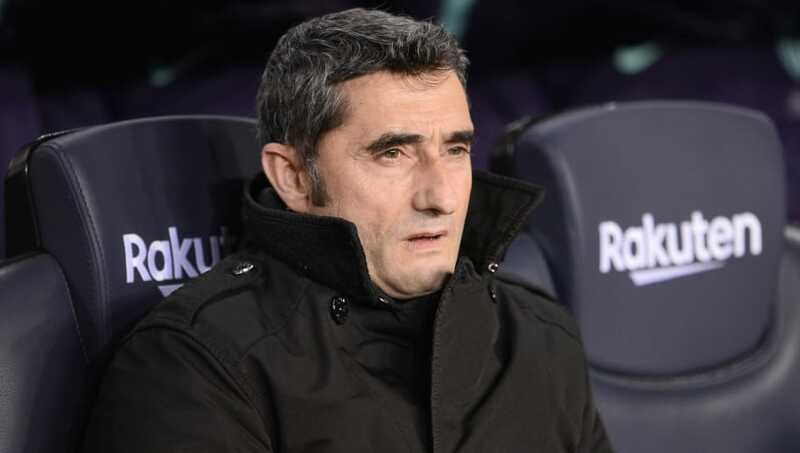 Speaking post match, as quoted by ​Marca, Valverde remained adamant his ​Barcelona side should be in the hat for Friday's draw: "We have no doubt about Chumi. "We should be in the draw tomorrow and we are sure that we did nothing wrong. We knew perfectly well that he was suspended and that we couldn't use him in the game against Eibar, but in the cup we could. RFEF says that Barcelona did not commit an offence by playing Chumi as his Barça B ban does not transfer over competitions. "We are convinced of what we have done. We have acted in an absolutely correct way. We have won where we had to win. It is very clear." The 30-time Copa del Rey winners made light work of their opponents to seal their passage through to the last eight, where they could face rivals Real Madrid who defeated Leganes 3-1 on aggregate. Despite starting a host of first team regulars, including trio Dembele, Messi and Ivan Rakitic, Valverde defended his decision to introduce frontman Luis Suarez. With their opponents needing two goals to qualify, Suarez was summoned on the hour mark, but made little impact, having starred in last Sunday's league ​victory over Eibar. He added: "We know how they (Levante) would play. There was half an hour left. We were ahead and a goal from Levante would have compromised our position.